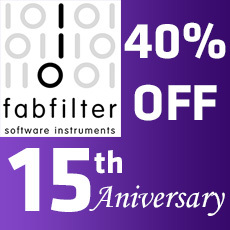 Originally developed for FabFilter One, Simplon's filters were designed from the ground up to be the fattest and smoothest self-oscillating digital filters possible. Simplon's filters sound raw but never cheap or ‘digital’, even at full resonance. Each filter offers three different filter characteristics that define the unique sound and overdrive of the filter. They range from smooth filters with moderate overdrive to raw, self-oscillating over-the-top madness!